Top Reasons why you should List your Home FOR SALE with Team Barton at Valley Wide Homes! Led by Broker-Owner Craig Barton, Team Barton at Valley Wide Homes provides excellent customer service that generates great results for seller's listing their homes and selling in Fresno/Madera Counties and the surrounding areas in Central California Valley real estate area. Our results speak for themselves because we know the Central Valley's real estate market place, the characteristics of each unique neighborhood and how to bring seller and buyer together for fast closings at top dollar for the seller. The best in personal and professional client service, focused marketing, the speed and reach of the latest real estate internet technology and more, that’s what you get when listing your home to sell with Team Barton at Valley Wide Homes. #2 The Best Sales Start with the Right Listing Price For YOUR HOME! 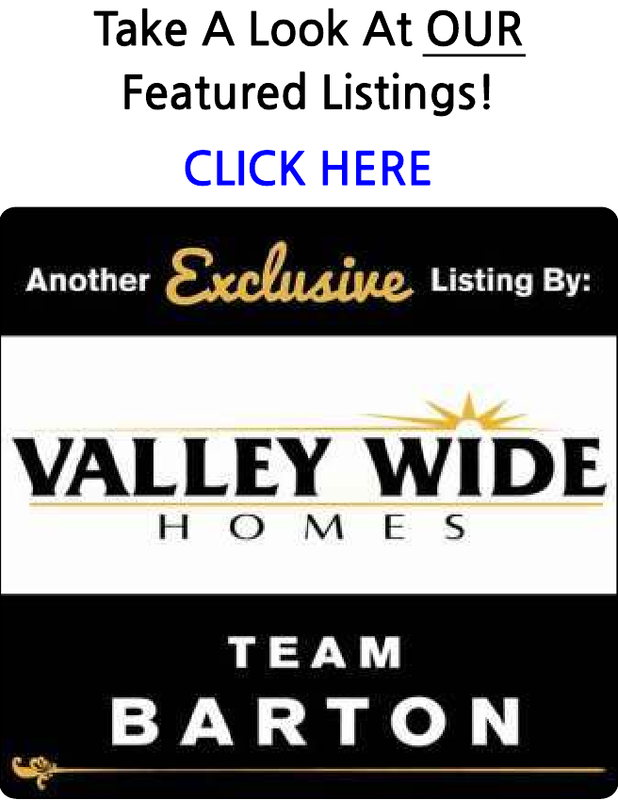 Team Barton at Valley Wide Homes is ready to list your house for sale, price it right to sell based on market conditions and your financial needs, and aggressively market and sell your house to bring a fast closing at maximum value to you. When real estate is listed for sale it joins thousands of other properties on the market. It is the focus of the Team Barton to make your specific house stand out and above the clutter through our comprehensive, custom marketing plan designed just for you. #4 List it RIGHT, Sell it FAST! Personal service: Team Barton agent to guide you through the process and a customer care corrdinator to make sure all your needs are meet. Home visit: Team Barton will make visit to your home for prepping and pricing advice. Regular updates: Team Barton will contact you every week with personalized feedback. Online Access: You will have online access to all the showing and the comments agents have made about showing your home to their buyers.